Home and Decor did ask me to provide the prices of the Pre-War flats but I told them I only have the HDB transacted prices in my website. 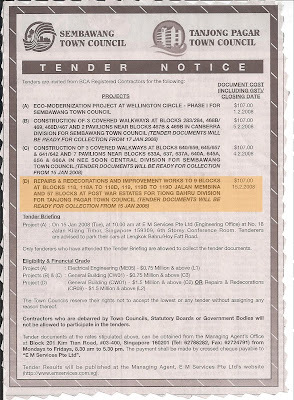 As for the Pre-War section, there are no public records of them in either the HDB or URA website. We gotta find out from the valuers or do a search on them….with cost. (I wonder why these information are not readily available). Anyway, to “right” the wrong, I hope to be crystal clear this time around in explaining where the HDBs are and where the conserved ones are located. Seng Poh Road (highlighted in PINK) is the road that separated the 2. I hope the picture I have provided below would clarifies this once and for all. 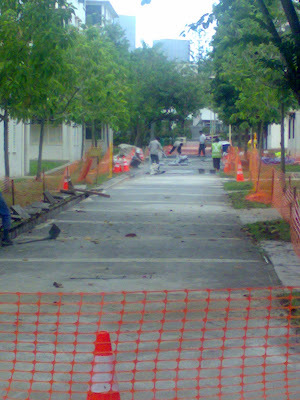 In case you are wondering if someone in Tiong Bahru has done an Extreme Makeover – Home Edition……sorry to disappoint. 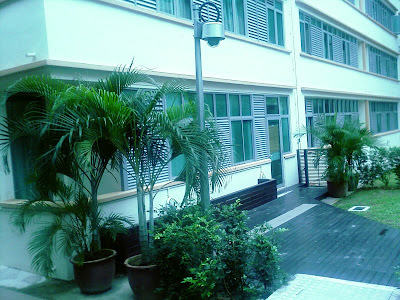 The 1st picture was taken in the Tiong Bahru Estate while the nicer one was taken at the SMU Residences @ Prinsep . If you intend to buy a ground floor unit over at the Tiong Bahru Estate, perhaps you can take a cue from these trendy hostels. 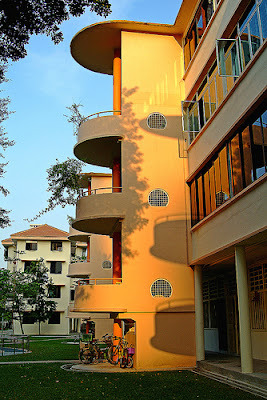 These flats were built from the 1948 – 1951 period. 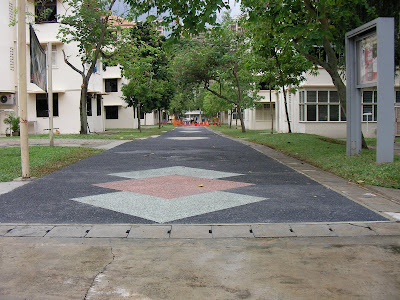 It was built by the Singapore Improvement Trust (SIT). 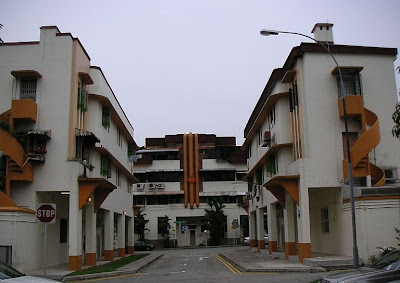 Some people refer these flats as the LIM YEW HOCK flats but I do not think they are built during his reign as Chief Minister of Singapore as he only took office in 1956. So to call these the LIM YEW HOCK’s flats is actually inaccurate. I usually call them the SIT flats but that still does not clear up the confusion as the PRE-WAR section are also built by SIT. An easier way is to identify them by the block number. Blk 17 to Blk 50 are flats which requires the buyer to comply with the HDB’s eligibility scheme. 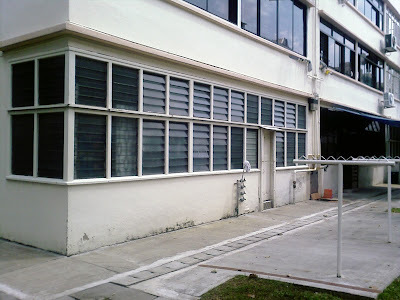 Originally, these flats were rented out and later, resident were “encouraged” to buy them in 1973, when HDB took over the responsibility of running the estate. 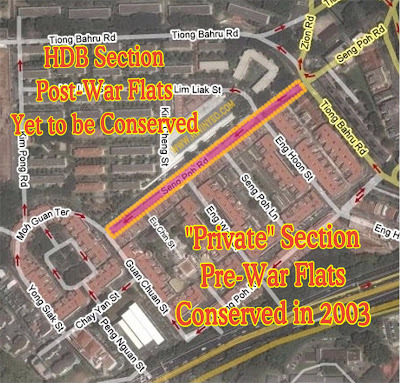 Blk 55 to Blk 82 are the Pre-War Conserved flats which were privatised in 1965 to 1967 under the Government’s pilot Home Ownership Scheme. The conservation status was only awarded in 2003. The walls of these buildings are really tough. If you even need to hack away these “historical” wall, your contractor can get rather creative with his choice of words while hacking them. The Singapore Government started selling these flats to the residents from 1965 to 1967 under a Government’s pilot Home Ownership Scheme. Which explains the reason why the 99 lease starts from 1965 to 1967 and not from 1936. You are currently browsing the archives for the HDB Related category.